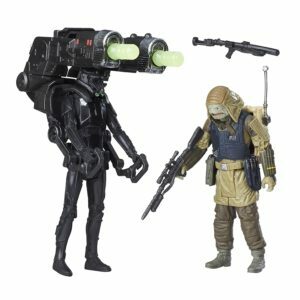 The official release of upcoming feature film Star Wars: Rogue One is still 2 1/2 months away, but if you want to add to your vast collection of new-in-box collectibles, based on the new flick, you can get on board right away. In fact, Amazon.ca is having an early celebration with a preemptive strike of an entirely new line of products based on Lucasfilm’s first stand-alone Star Wars feature. The movie isn’t even out yet but you can still get more stuff to put on your shelf. There isn’t five or 10 or even 20 new products, there are actually over 80, consisting of toys, games and even books based on the new movie, story and all of its characters. Some of them include Jyn Erso, K-2SO, and the new Imperial Death Trooper (shown above with Rebel Commando Pao). Read more…at Canoe Tech Blog. While there are a plethora of definitions, going to the Dark Side for computer users often means switching sides with respect to operating systems. 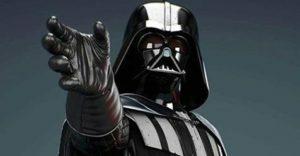 But in a bold move, Hewlett Packard (HP) has taken a page from Hollywood and has truly gone to the “Dark Side”, unveiling its Star Wars Special Editionnotebook in anticipation of Star Wars: “The Force Awakens,” the next instalment of the blockbuster franchise.